This book is about two things – Puzzles and Mathematics. 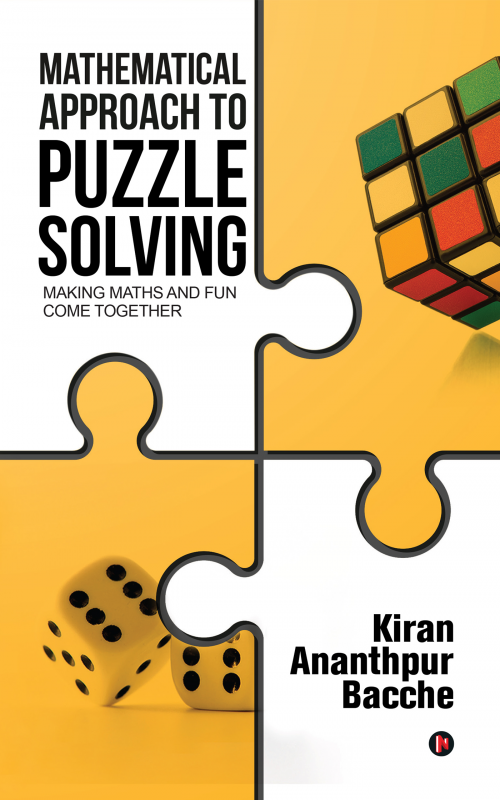 It talks about how you can model a puzzle mathematically and solve it in an easy, structured and systematic way. So you would not only learn the different mathematical concepts, but also at the same time enjoy solving different well known puzzles. And if that’s not enough, there is a set of interesting puzzles at the end of each chapter, to keep your grey cells ticking. This book not only helps you understand the mathematical concepts in a fun way, but also helps you learn the techniques of solving puzzles in an easy way. So if you like mathematics or puzzles, then you would definitely like this book. This book is recommended for school and college students as it would help them appreciate the practical application of the mathematical concepts they learn as part of their academics. And if you are a serious puzzle solver, then this is the book you are waiting for. Not only does the book teach you the modelling techniques to solve a puzzle, but also challenges you with a set of interesting new puzzles. Written in a simple way, with self-explaining graphical illustrations, this book is a treat. Kiran A Bacche is a computer science graduate working in the IT industry for nearly two decades. He has had keen interest in mathematics and puzzles since childhood. He loves teaching mathematics, and has authored articles explaining some of the concepts, related to mathematics and science, in a simple way. He also likes inventing new puzzles based on the mathematical concepts, apart from solving any puzzle that comes by his way. So bringing these two things, mathematics and puzzles, together became his dream and motivated him to write this book. Kiran lives with his parents, wife and two kids in Bangalore. His hobbies also include playing music, gardening and playing sports.